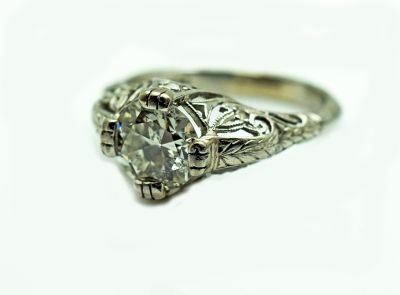 A beautiful Edwardian engraved, filigree and mill grain platinum ring featuring 1 old European cut diamond, est. 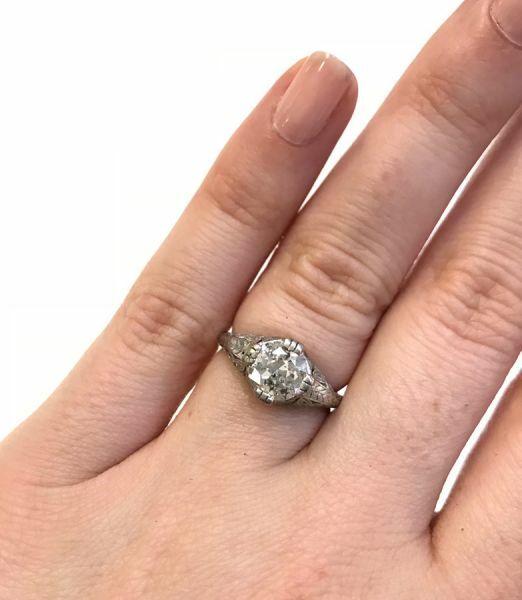 1.22ct (I1 clarity & H-I colour) and 6 round single cut diamonds, est. 0.06ct (VVS-Vs clarity & H-I colour).